This piece was inspired by a summer day near the Flatirons. The afternoon cumulous clouds were building up in anticipation of a thunder storm. It is constructed of hundreds of hand wrapped and coiled threads. 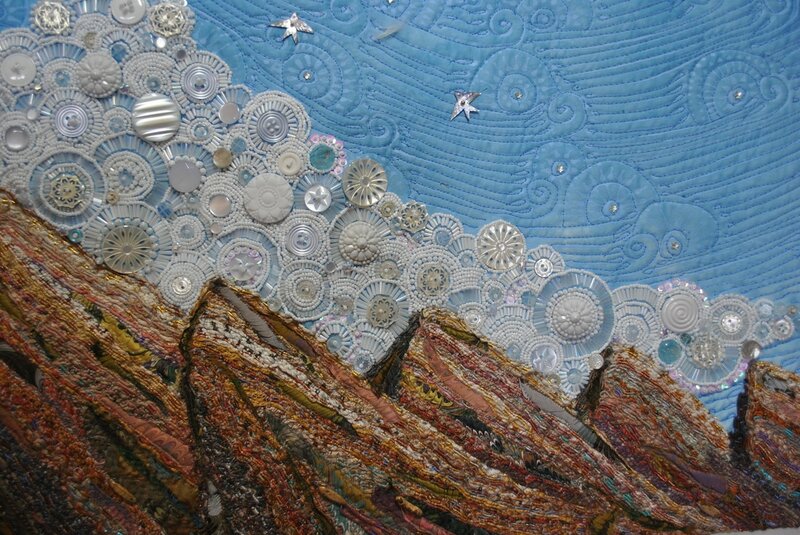 the clouds are hand beaded around mother of pearl buttons. The sky is hand painted dyed gradient fabric.